Not a ton of story details yet, but it has been revealed that this game is a sequel, but takes place earlier in the timeline for the game. Much in the way SF4's story takes place after SF2. Super happy to see this game come back, it's been too long!! 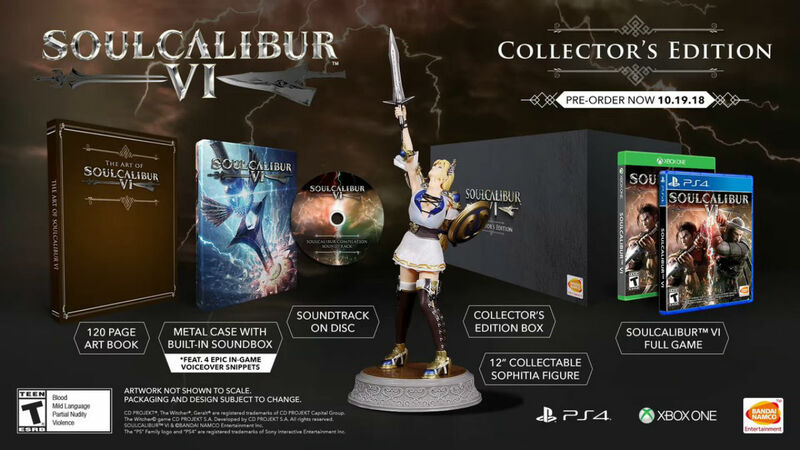 Yeah at Sophitia costume is reminiscent of SC 1 or 2, and not the flimsy rags she dons later in the series. Which I guess is good because, while Voldo's always been strange, they've been making the rest of the character go to DOA territory with the last couple of games. Naaah the only character that's been like that on purpose is Ivy. If this takes place in the time after SC3, maybe? Mitsu and Sophitia are looking really young, so it's hard to tell exactly when the game takes place. No mission mode no sale. Mission mode was MAD LEGIT!! I hope it comes back. OH MY GOD THIS GAME IS SOOOO GORGEOUS!!! Oh my God SOPHITIA is sooo gorgeous!!! First playable demo will be at CES 2018! I'm sure more news and footage will be available then too, hopefully an update on the roster. No NEW news out of CES, but was able to find some gameplay from players. We may see a reveal at EVO Japan (Jan 26-28), but aside from the above, no real news. ...pardon me, i need to change my pants. That's how I started playing the game in the arcade. It wasn't until I finally got a DC, that I took an entire day to learn movelists and what punishes what. It also helped that I had friends who (at the time) were eager to experiment and learn as well, that kept me learning. That seems like a very impractical fighting outfit, Ivy. I have never played The Witcher, and something tells me I'm missing out. Hell yes! Oh and it appears both Hori and Qanba have fightsticks planned for the release of this game. Cannot wait for this game!!! Oh also, look out for a major upload from Maximillain (YouTube). Namco let him stream the latest build of SC6 after E3 for like five hours. 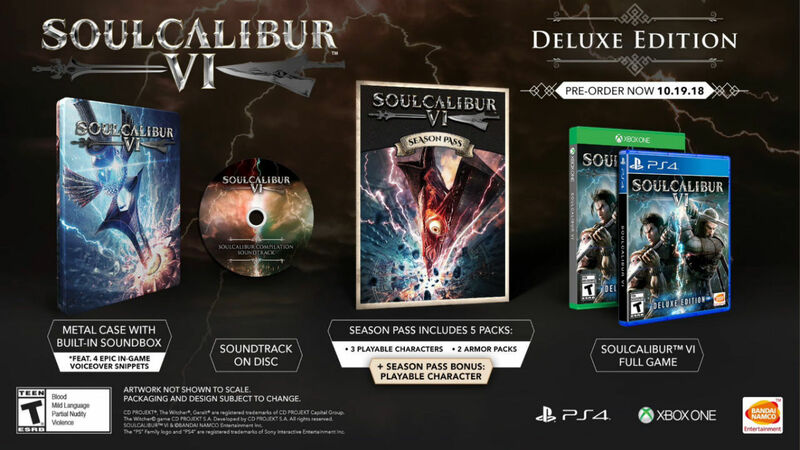 So no season pass with the collectors edition?